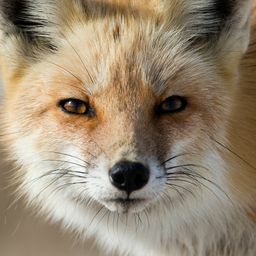 Animal: Red Fox Location: New Jersey, United States of America You can not help but smile as you look at the face of this seemingly happy Red Fox fleering at the camera. Every year Red Fox grow alluring thick vibrant coats to keep them warm during the winter. Even with these insulating coats, on cool days in the winter you can find Red Fox sprawled out soaking up some much needed sun. One of my favorite locations to photograph Red Fox in is New Jersey because Jersey's white sand beaches span the coastline for countless miles. On a cool winter day, the sun was shining as I headed down to the beach to locate and track Red Fox using their fresh footprints left in the sand. As I located a pair of tracks I followed them through stunning sand dunes. After following the tiny footprints left in the sand, I looked up and saw a little red dot sitting at the bottom of a sand dune. On a closer approach, the Red Fox had its head laying on the ground as it took a nap. Ensuring I did not wake the Fox, I slowly inched my way closer and closer crawling on stomach. When I finally reached the Red Fox, after crawling for quite a long time, it continued to sleep. 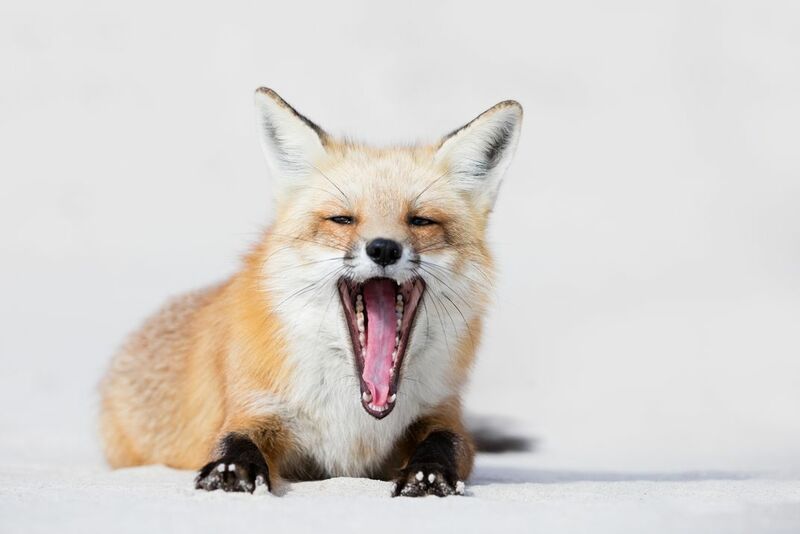 About thirty minutes later, the Fox lifted its head off of the ground and gave a nice big happy yawn only to continue its nap moments later. This moment shows why Mother Nature is truly the greatest artist of us all. Date Uploaded: July 4, 2018, 9:11 p.m.